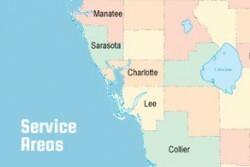 For over 30 years, ABC Fire Equipment has been providing exceptional fire safety services to Marco Island, Florida. We provide a full range of fire equipment, and we also service fire systems and equipment. We pride ourselves in working closely with our customers to provide custom services to meet their individual needs. If you are located on Marco Island, and are in need of either fire equipment or service, look no further than ABC Fire Equipment.